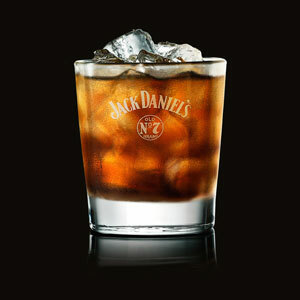 No spirit brand has greater music credentials than Jack Daniel’s, and it has long been BarLifeUK’s opinion that should you walk into a joint and see fans with a Jack & Cola in hand, you’ve walked into a proper rock and roll bar. Like Jack Daniel himself, genuine rock legends achieved success by working hard and staying true to their independent spirit. Before the arenas and stadiums, they learned their craft playing sweaty gigs in local venues, and these places should be celebrated now, so that new legends can be born. Reinforcing this close association with the roots of hand crafted music; Jack Daniel’s has partnered with iconic independent music venues all over the UK, as well as opening up their own live music venue in East London – Jack Rocks the Macbeth. What’s more, the folks at Jack have provided two pairs of tickets to exclusive New Year’s Eve gigs at The Amersham Arms and The Macbeth featuring Carl Barât & The Jackals for BarLifeUK readers. To be in with a shot of winning, simply fill in the short form below to be entered into the prize draw.